Moneymaker Bic at Stop & Shop! 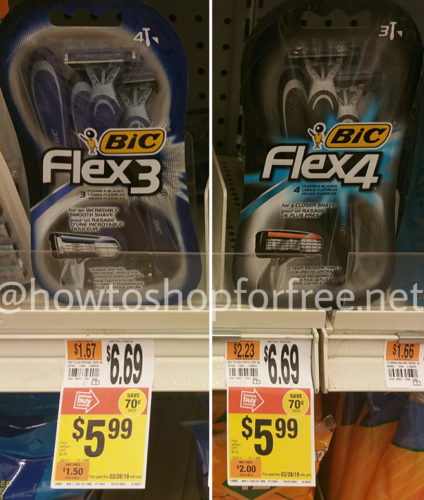 Select Bic Flex razors are on sale for $5.99. IF you have this printable coupon, pay just $1.99 or make it a moneymaker if your store stacks! if your store stacks, use the $3/1 BIC Disposables Razors digital coupon and pay nothing plus $1.01 moneymaker!